The Wound Care and Hyperbaric Treatment Program at Manatee Memorial Hospital provides specialized treatment for chronic or non-healing wounds, which are defined as sores or wounds that have not significantly improved from conventional treatments. Associated with inadequate circulation, poorly functioning veins, and immobility, non-healing wounds lead to lower quality of life and may lead to amputations. When wounds persist, a specialized approach is required for healing. If you have a sore or wound that has not begun to heal in a month, or has not healed entirely in two months, contact Manatee Memorial's Wound Care department by calling 941-745-7251. Get the latest information on outpatient surgical procedures from healthcare professionals. With the latest treatments available, including debridement, dressing selection, special shoes and patient education, people with non-healing and chronic wounds now have a place to turn. We use an interdisciplinary model of care, including infectious disease management; physical therapy; occupational therapy; laboratory evaluation; nutritional management; pain management; diabetes education and other areas to address total patient health. The Wound Care and Hyperbaric Treatment Program follows treatment protocols specifically established for each type of wound. We utilize the latest approaches to wound healing and remain current in new scientific advances in wound care. Patients are mostly referred by their primary care physician, and the program operates by appointment. 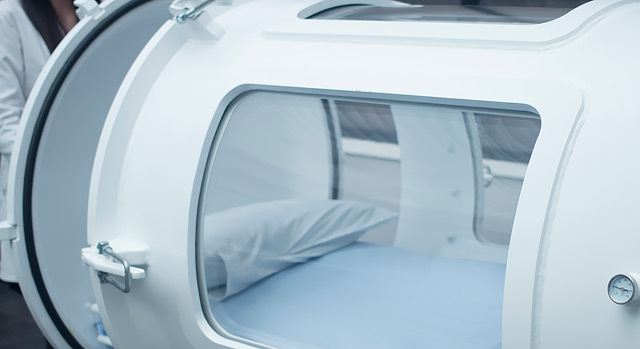 Upon referral to the Wound Care and Hyperbaric Treatment Program, patients undergo a thorough diagnostic examination to identify the type of wound you have and the underlying problems causing the wound. The initial appointment consists of a full assessment to determine the etiology of the wound, the appropriate classification and size of the wound, the overall health status of the patient and the patient’s ability to comply with needed therapies. Once a treatment plan has been initiated, you will visit the Wound Care and Hyperbaric Treatment Program office on a regular basis for specialized treatments and documentation of the progress of your healing. 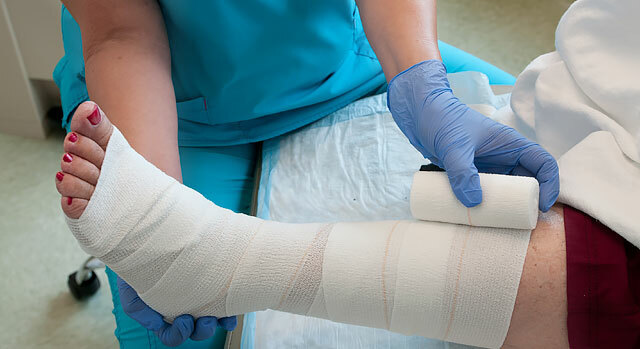 You will also be fully instructed on how to do your own wound care at home between visits, as well as how to protect your wound from further injury. It is very important to remember that you are the most important part of your healing process. Keeping appointments and following directions are critical to attaining a positive healing outcome. Please refrain from smoking or the use of any tobacco products, during the entire course of your wound care therapy. Tobacco use will prolong or even prevent healing of a wound site due to its effect on the blood vessels in your body. To make an appointment with the Wound Care and Hyperbaric Treatment Program, contact us at 941-745-7251.